Three years ago, my son Terry and I wrote a young adult fantasy novel called The Poem Beasts. It is currently submitted for consideration at a major publisher. In honor of the opening of the movie of The Hunger Games, a major work in the young adult genre, we offer a taste of our work—nine days of the poems of The Poem Beasts. "Grendel" woodblock print by Terry Price. 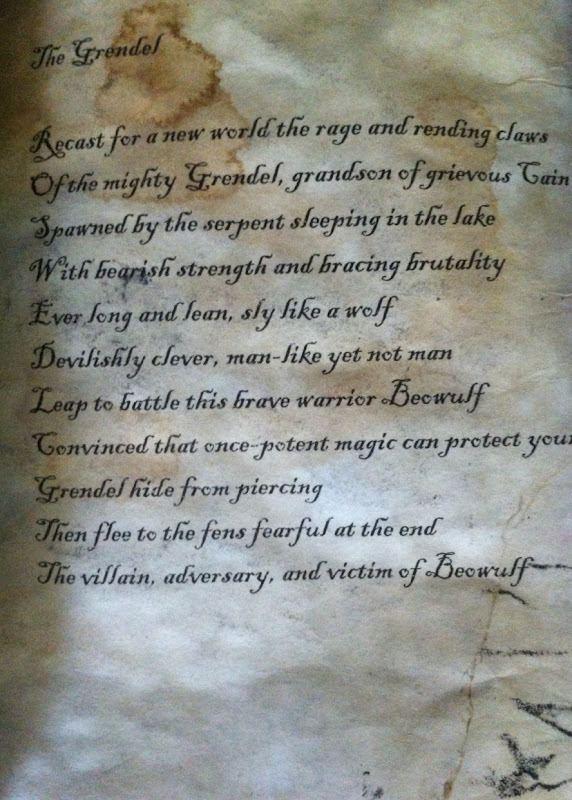 The figure of the Grendel rises from the ancient epic poem Beowulf. 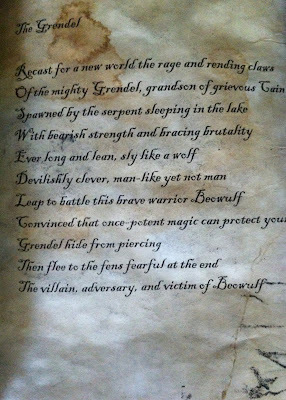 Although exact details of his appearance are sparse within the poem itself, Grendel is commonly assumed to have the form of a monstrous humanoid similar to a troll or ogre (although some scholars also argue that he may have had some dragon-like qualities as well, based on a line about a scaled arm). While we may not know many visual details, we are very well acquainted with some of his powerful attributes. He had incredible strength and was able to shrug off sword blows. Also, he can be assumed to have been sneaky, choosing to carry off Herot’s occupants at night when they were most defenseless. 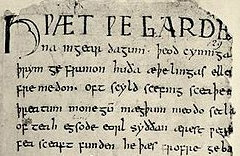 Grendel and his equally monstrous mother were both defeated by the hero Beowulf.